While zipping through the Seattle Times website for stories about religion, which are usually scarce, what should appear but a piece about how local schools are adapting to students who observe Ramadan while playing sports and attending graduation ceremonies. The article showed an insider knowledge of local Muslims, a group most reporters would not have access to. It's pretty obvious when you are dealing with a reporter who is getting the details and facts right. Investigating further, I saw one of the writers, Dahlia Bazzaz, is not only Muslim herself, but her family was from Iraq. She was born in Oregon, grew up close to my alma mater (Lewis & Clark College in Portland) and was editor-in-chief of the Daily Emerald, the student newspaper for the University of Oregon. As Renton High School seniors walked across the graduation stage on Wednesday, fellow graduate Sawda Mohamed stayed home with her family. The 18-year-old had purchased her cap and gown, but earlier in the school year decided to skip the ceremony. Despite her mother’s protest, Mohamed described her choice as a fitting end to years of frustration she experienced in a school system she felt had little respect for her Muslim faith. This year, the most stressful time of the school year coincided with the holiest time for Mohamed: Ramadan, when Muslims abstain from food and drink from sunrise to sunset for a month in order to focus on spiritual growth, family and charity. I’ve been occasionally subbing as a teacher in this district this past year, so am familiar with the immense range of nationalities therein. Renton is a blue-collar city southeast of Seattle and the culture there offers a rich trove of whichever ethnicity or religion you care to report on. Across Washington, accommodations aren’t just being made for Muslim students. In 2015, the state widened its window for required student testing to about three months, offering districts some flexibility to consider a long list of religious holidays and events in their planning. The Mercer Island School District, for example, changed the date of its first day of kindergarten so Jewish students didn’t have to start on their faith’s holy day of Rosh Hashana. Earlier this year, when the Kent School District learned that its graduation venue’s security standards didn’t allow members of the Sikh community to enter carrying kirpans, religious articles that resemble knives, district officials negotiated an exception with the venue. Still, Mohamed and several students and parents interviewed for this story reported running into resistance to simple requests from their schools such as being excused from class for a few minutes to perform their prayers or rescheduling exams to avoid having to take them on empty stomachs during Ramadan. One small complaint: All the school districts in this story are in western Washington. The part of the state east of the Cascade mountains is far more conservative and homogenous. Are districts there trying to accommodate what few Muslims live there? What follows is a range of opinions as to whether students should be given special accommodations for Ramadan. I’m not saying a reporter has to be Muslim to get where the tensions are, but in this case, it didn’t hurt. This Islamic leader -- for religious reasons -- opposed students being given special treatment. Hussam Ayloush, executive director of the Council on American-Islamic Relations chapter in Los Angeles, said he has heard of schools there changing their athletic schedules for fasting students or offering space in the library or an empty classroom for students to pray in. Some of those adjustments may be contradictory to the religious significance of Ramadan, he said. Looking up the Muslim reporter who was part of the story’s double byline, I noticed she was born in Eugene, Ore., but ended up as a student in a Catholic high school in the Portland area, where she is shown wearing a hijab. The photo that appears with this blog post is from her Twitter account sans hijab. As a teen, she wrote this piece for the Oregonian about her trip to Iran and how she hoped, as a future journalist, to more accurately mirror how Middle Eastern people think and act. According to Lauren Markoe’s 2106 RNS story on Muslim journalists, there is no organization specifically for them. While searching for Muslim-American journalists on the internet, I got this about how Pakistani journalists think but there’s not a whole lot else out there. This is not to say the reading public is all that engaged with the topic. According to a note at the bottom of the piece, the comments were so poisonous that the thread was removed. What people have against high school students who, against great odds, observe Ramadan, bewilders me. But then again, this is an area where a mosque was burned twice by arsonists, so not everyone in Seattle is into diversity. I got to talk with some of those mosque leaders a few months ago and their story is a tough one. The first blaze, in 2017, destroyed much of the building, compelling the congregation to have to rent office space at $9,000 a month. The bills were killing them, they told me, and much of their group had fled to other mosques in safer neighborhoods. 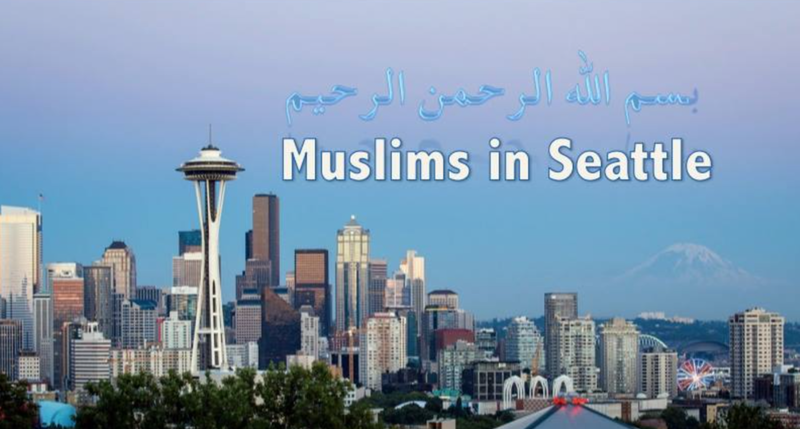 So, there are plenty of Muslims in the Seattle area, enough so that the state chapter of the Council on American-Islamic Relations spent May doing presentations in Seattle public schools about how educators can help students observe Ramadan. That significant fact didn’t get mentioned in the Times story. Other than that, the story highlighted a group one doesn’t hear from very often. I’m not downgrading the work of the other reporter on this story, but the reporting definitely benefited from the Muslim reporter who may have had crucial contacts inside the community. Now if the Seattle Times leaders would only hire a religion specialist who has contacts in lots of religious communities. They used to have them years ago. One can only dream. Newer PostChris Pratt uses MTV as pulpit for his faith: Were his 'nine rules for living' news or not?